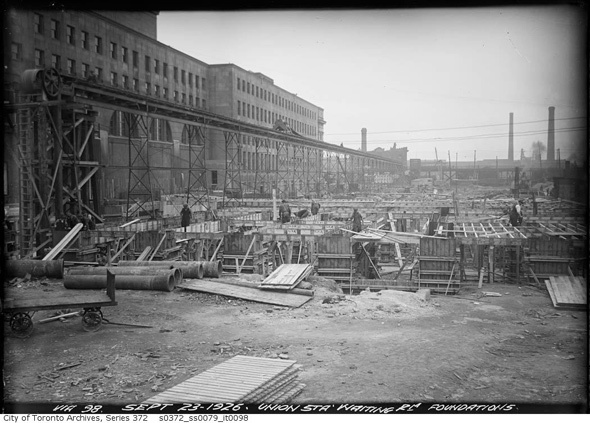 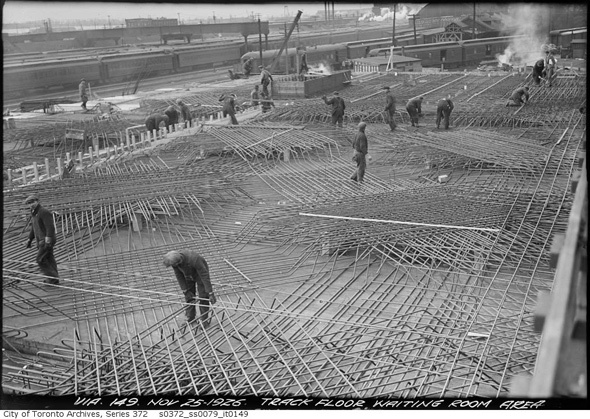 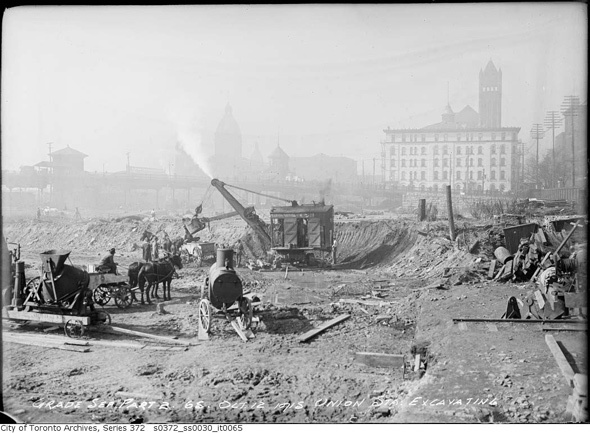 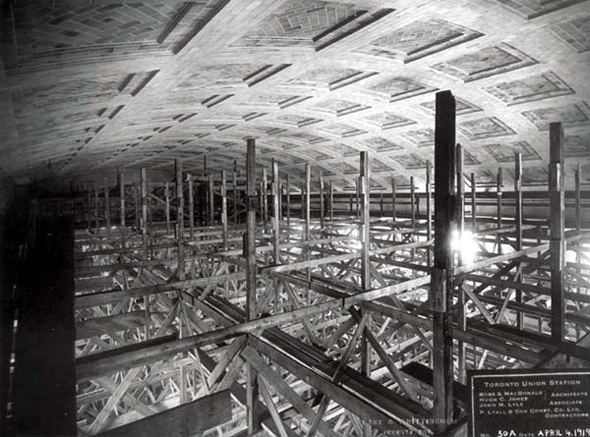 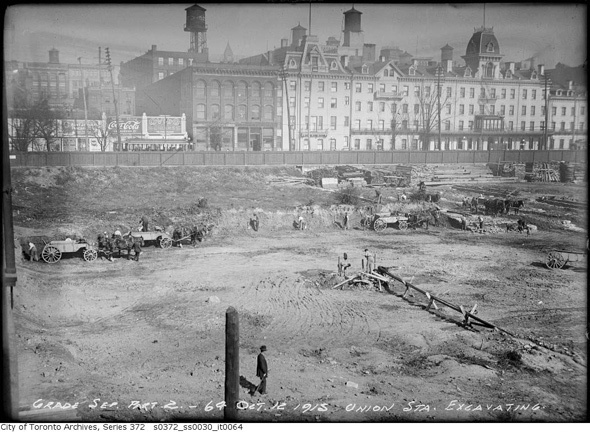 As construction crews at Union Station work on what's being called the "dig down," a massive excavation project designed to triple the floor space at Toronto's transit hub by adding lower levels, the timing couldn't be better to take a glance back at the origins of the transit hub. 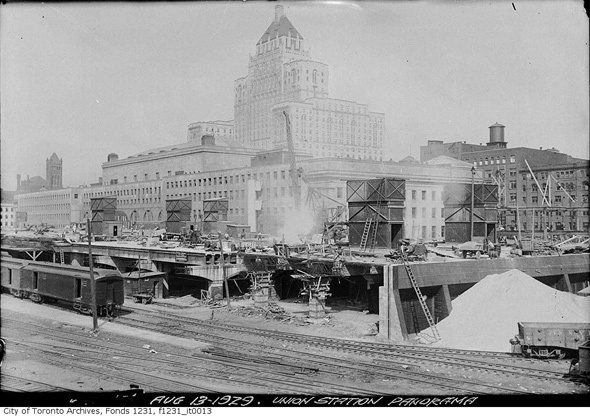 Built between 1914 and 1921, but not officially opened for another six years because of a disagreement between the Harbour Commission, the railway companies and the City over grade separations (typical Toronto...), our current Union Station is actually the city's third. 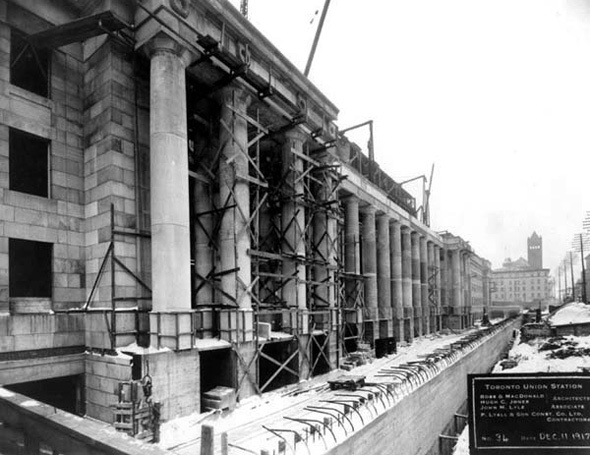 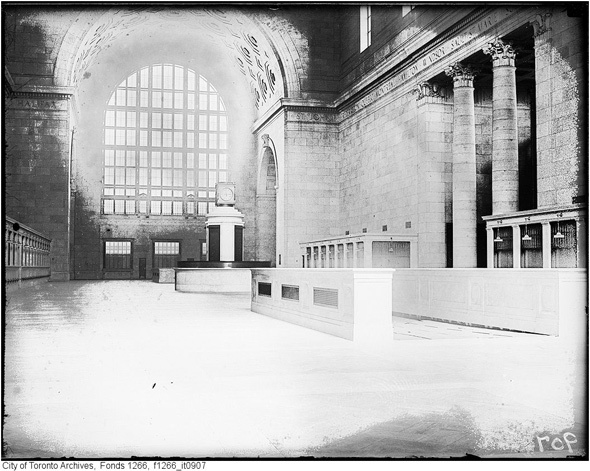 And while there's not much archival evidence (save for a few paintings) of the first iteration, Union Station II was a grand structure of which we have a host of photographic records. 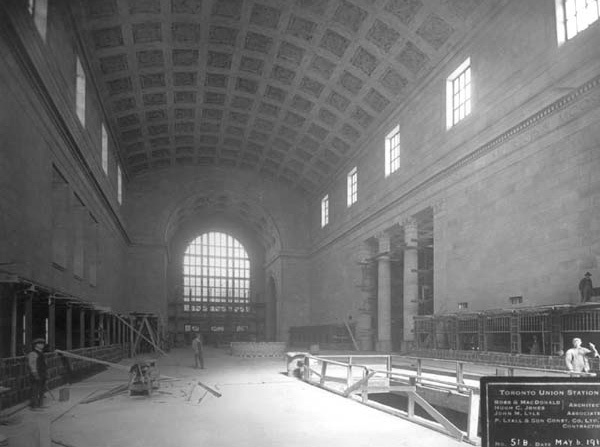 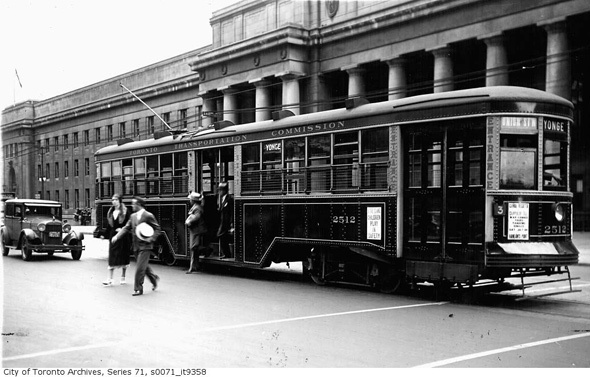 As beautiful as that building was (and it really was), Toronto's growing population and railway expansion throughout the country demanded that a larger structure be built to accommodate increased rail travel. 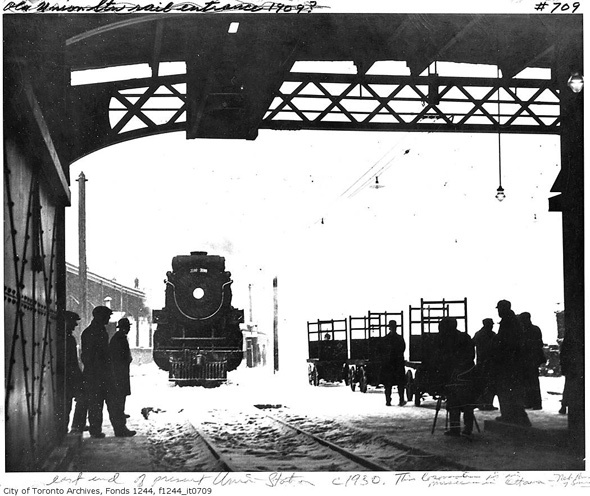 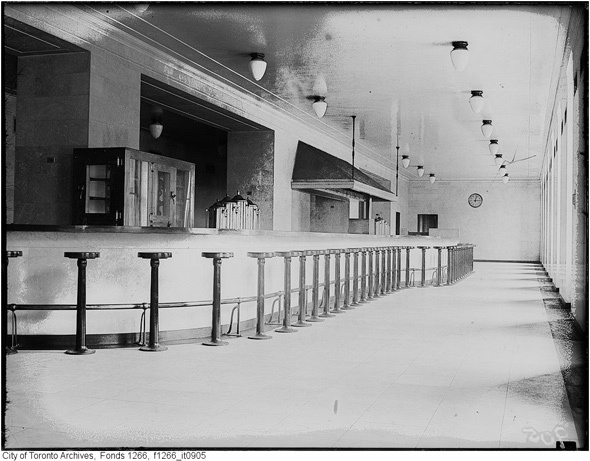 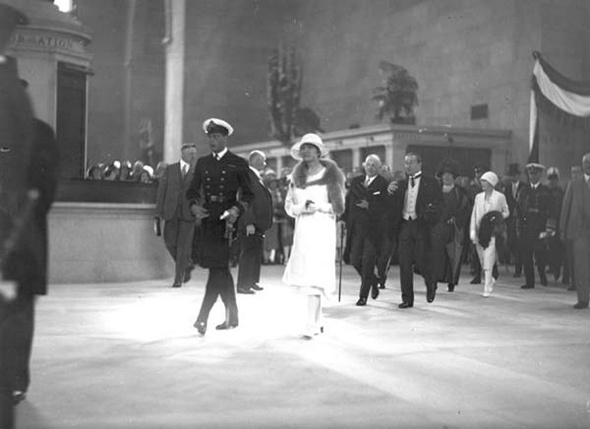 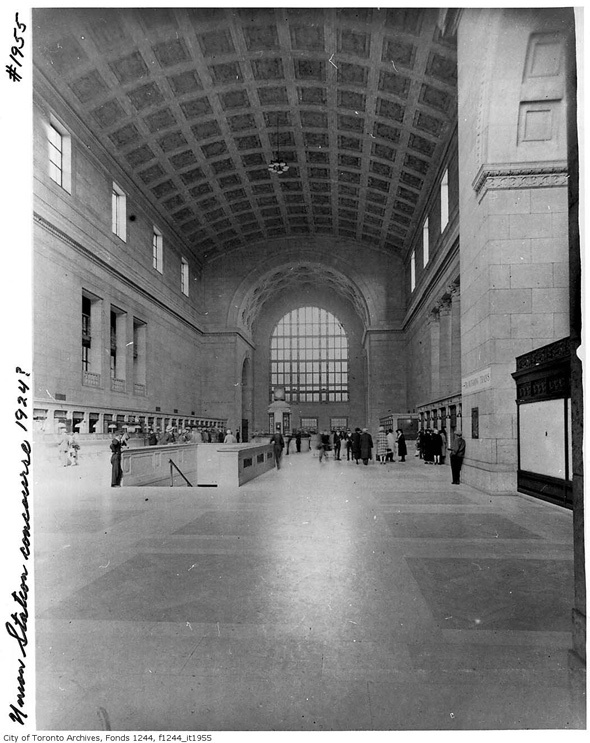 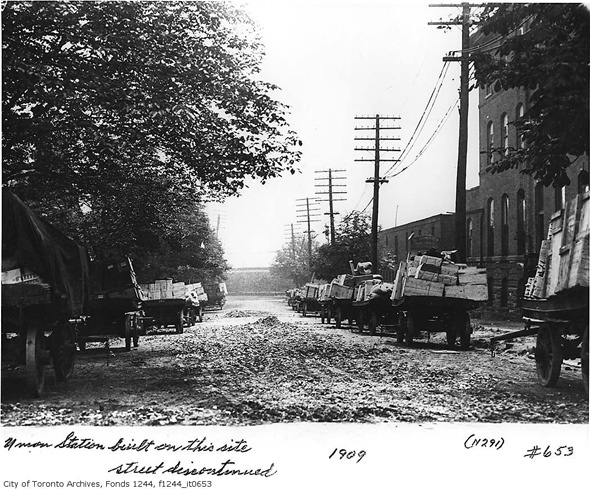 Land for the new Union Station was leased by the City in 1905, and the building was eventually constructed as a joint effort between the Canadian Pacific Railway and the Grand Trunk Railway. 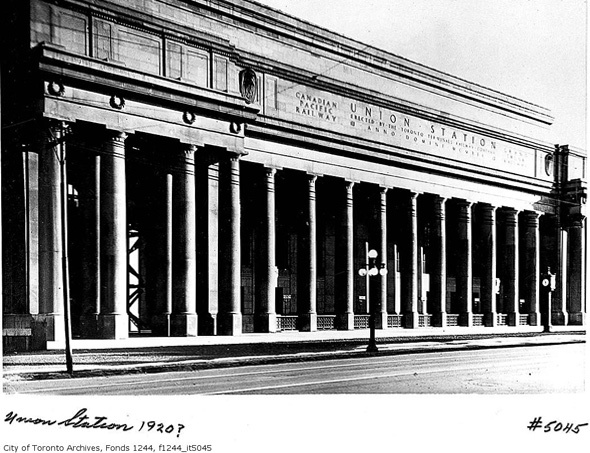 Architecturally speaking, Union Station is one of the city's best examples of the Beaux-Arts style. 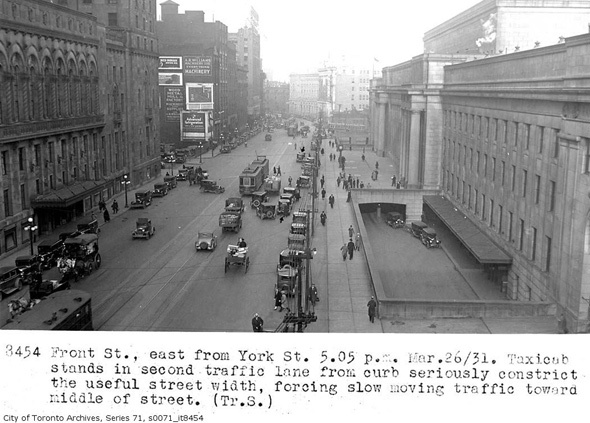 Designed by the Montreal Firm of G.A. 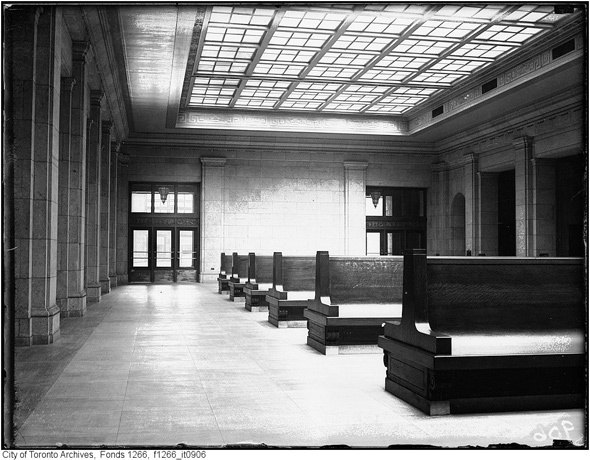 Ross and R.H. MacDonald, as well as Hugh Jones of the CPR and John M. Lyle of Toronto, it remains one of our most beautiful buildings.